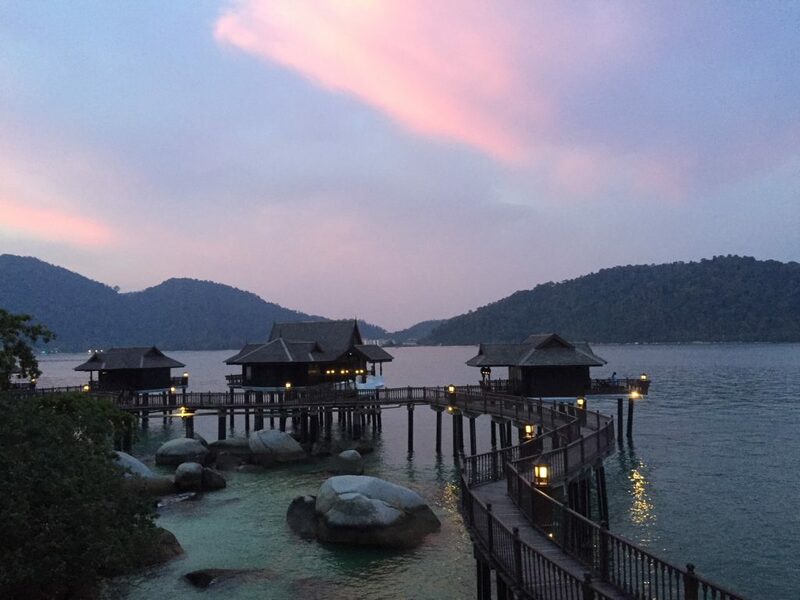 Pangkor Laut is a private island on the west coast of Malaysia. It’s blessed with white sandy beaches and the most stunning blue-green waters. The tropical Eden has only one resort and it caters for every indulgence, from exquisite fine dining to spa treatments. But what moved me about this place was that although it is known for its luxury, the natural habitat of the island has been conserved beautifully. 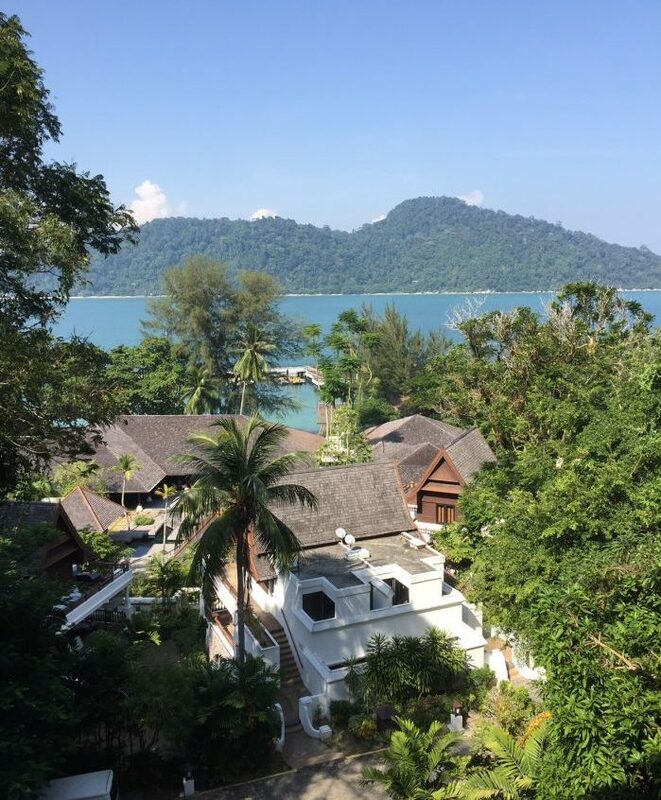 Pangkor Laut resort has largely preserved the natural habitat of the island. Photo credit: Sara Salih. I don’t know about you, but certainly when I plan a holiday – whether it’s a family trip or otherwise – there are so many things that I expect to get out of it. Naturally, we want to obtain as much as possible without a whopping great big price tag; first class service, sign up to the must-do activities, eat the best food, and so on. But what about what’s best for the locals and their environment? We may well be spending a few hundred, perhaps even a few thousand on this holiday, but once it’s over, we go back to our lives. So what impact is our demanding visit having? 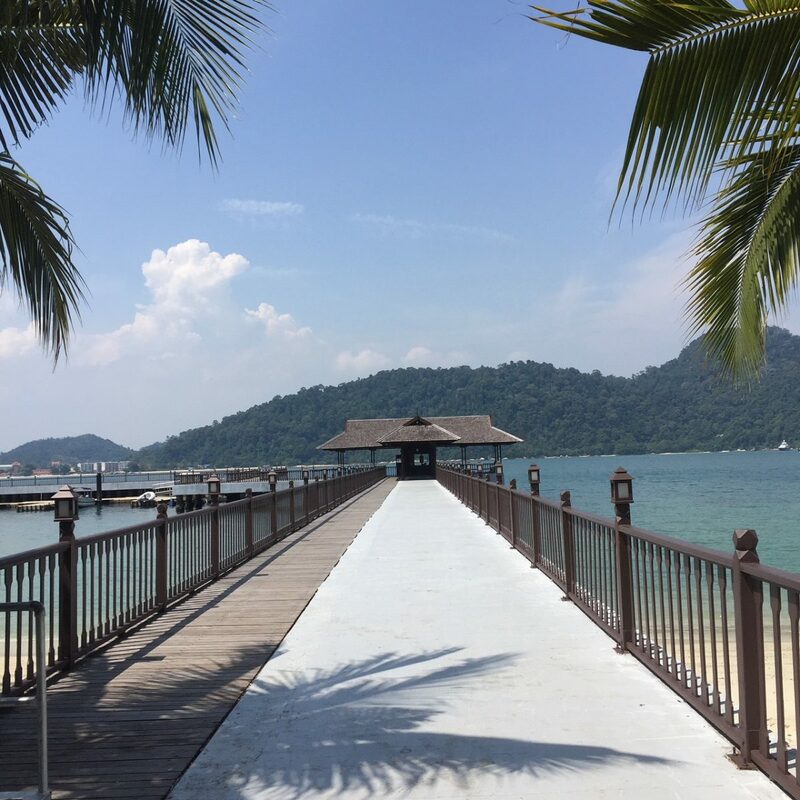 Being an island of 300 acres, Pangkor Laut resort occupies only a segment of the island. The rest of the island is preserved for the trees, which house the nests of the tropical birds and a community of reckless monkeys. The bats hang peacefully, undisturbed by the guests, and even on hikes in the forest, you’ll dodge the marching ants. You’ll experience all of this on the nature trail with Aris, the island conservationist. His passion for protecting nature is inspiring and his humour and charm compel you to learn. During our walk, Aris shared numerous fun facts about the local non-human residents. He signalled to the skies to a pair of hornbills – which apparently always fly in twos – and are one of the few birds that mate for life. Interestingly, the male hornbill brings his lady mate food every 20-30 minutes. The resort has surely taken from the bird’s high-quality service! I was fascinated by how much insight Aris had into how the animals lived, so much so that I wish I could have recorded it all. It was beautiful to see him take care of the local surroundings and their inhabitants with all his heart, and it made me realise something. Luxury and 5* service don’t need to impede on animals’ habitat. Who are we to take from them merely for our own leisure? Aris showed that not only is this not necessary for our comfort, but that our holiday experience can be greatly improved by well-conserved natural habitats. Nature aside, of course the resort has so much to offer for a luxurious stay. You have a choice of villas on the water which have direct views of the ocean, and where you can clearly see tropical fish swimming in the blue-green water; or you can opt for a garden villa with breath-taking views of the island from above. After a long hike, the spa treatments and massages are the perfect way to relax your mind and body until you fall asleep. The food is always masterfully decorated and tastes impeccable. Even when we were enjoying the island for its beauty, we couldn’t wait for each meal. It was in essence Michelin style meals at your fingertips and the bonus? It’s all halal! You’re even given a complimentary MiFi so that you can stay connected wherever you are on the island…but perhaps you won’t even want to use it whilst lying on the private beach, physically isolated from the rest of the world. 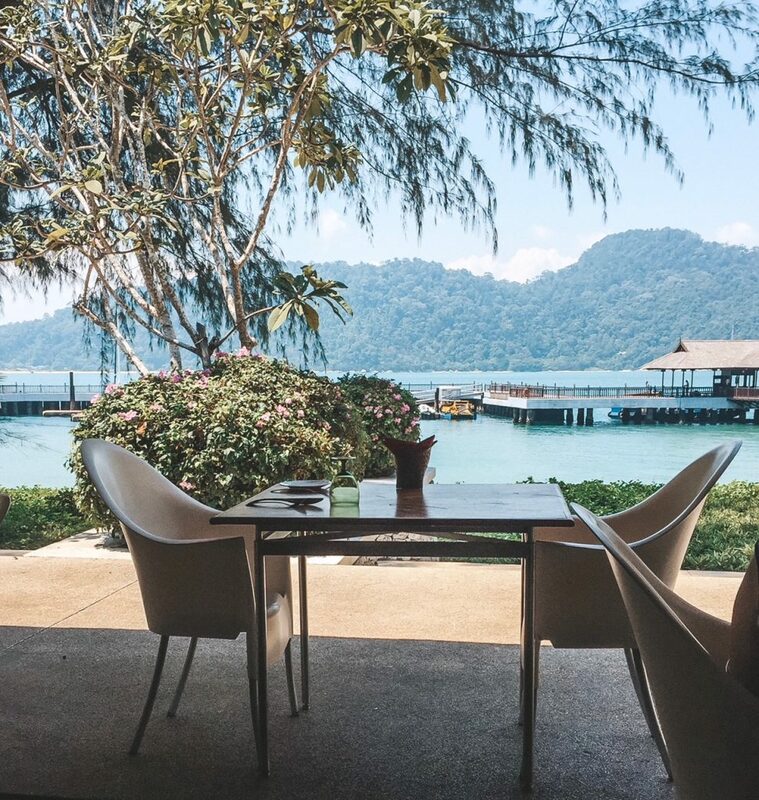 As my first trip to a Malaysian island, I can’t think of a better introduction to the country’s splendour than Pangkor Laut. Prices start from 735 MYR/night, which at the time of writing is approximately £140.